Here’s a rare beast – the Rickenbacker 20 watt combo with reverb and distortion. 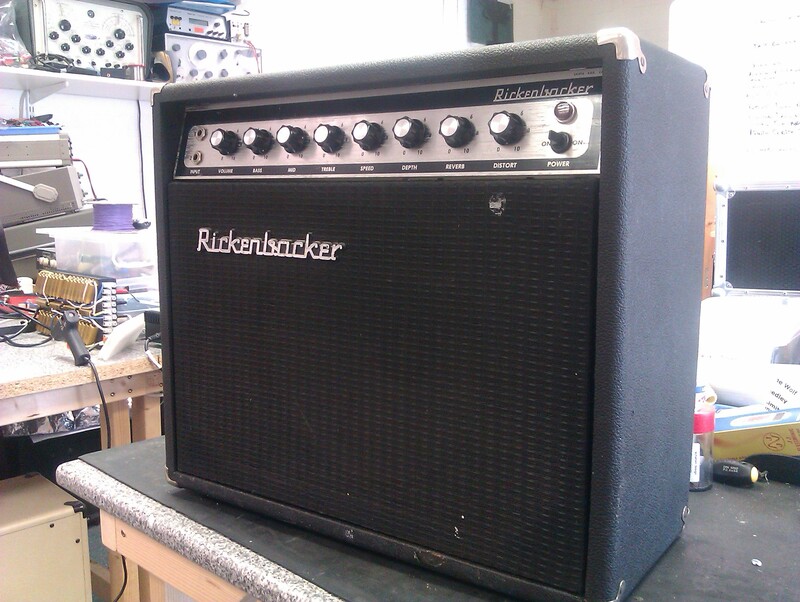 This solid state amp from the 70’s was an interesting visitor to our workshop. We made a new footswitch for this amp to provide switching for the reverb and tremelo, which is standard fare, plus distortion on/off, a modification requested by the customer. It all works very well indeed. The amp sounds surprisingly good for a solid state device of its vintage.